The skyline of downtown Florence with the Cathedral at the center at the blue hour just after sunset. 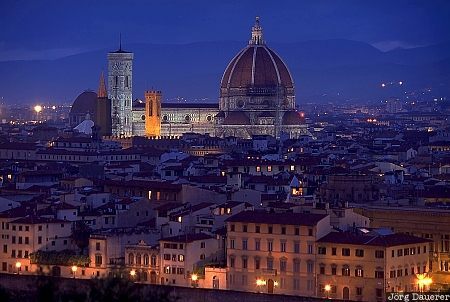 Florence is in northern Tuscany in the central part of Italy. This photo was taken in the evening of a rainy day in October of 1998.